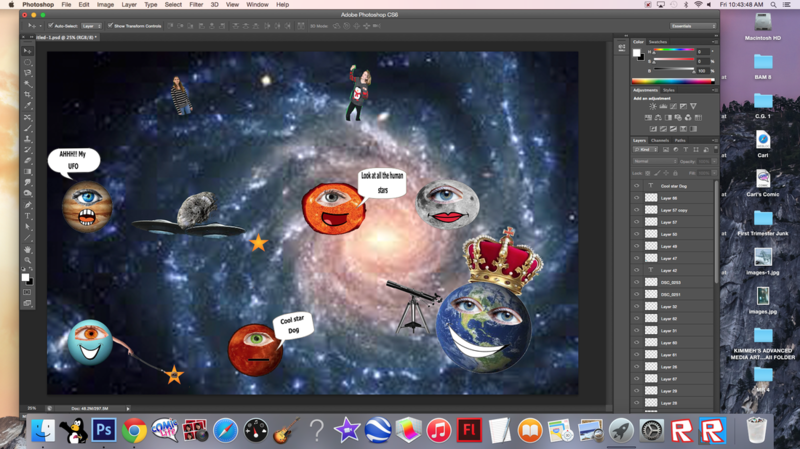 During these two days i've finished adding in some humans and put in some props for my planets. 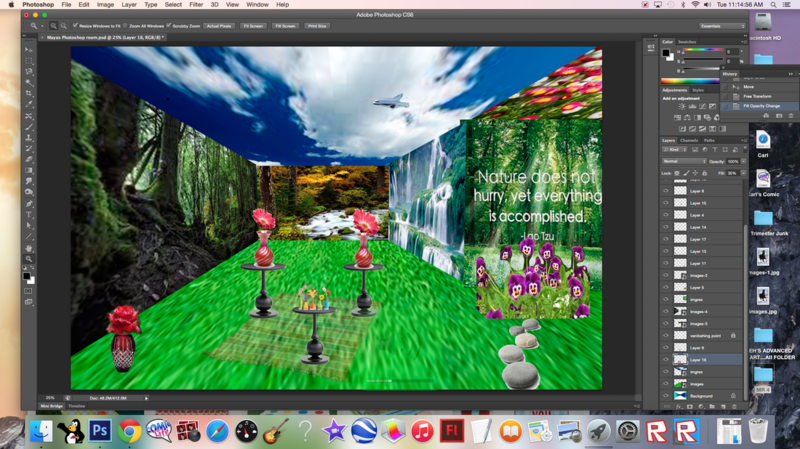 As i got further into the surrealism project, i realised that my project didn't really capture the idea of surrealism. so i did a big shift in my space surrealism project and started work on making the planets do human things and human doing planet things. It was slightly difficult trying to get people to pose and planets but i am almost done with the planet part and i am focusing on working with the humans. This trimester in the media arts lab has only one word to describe it.... Wow! 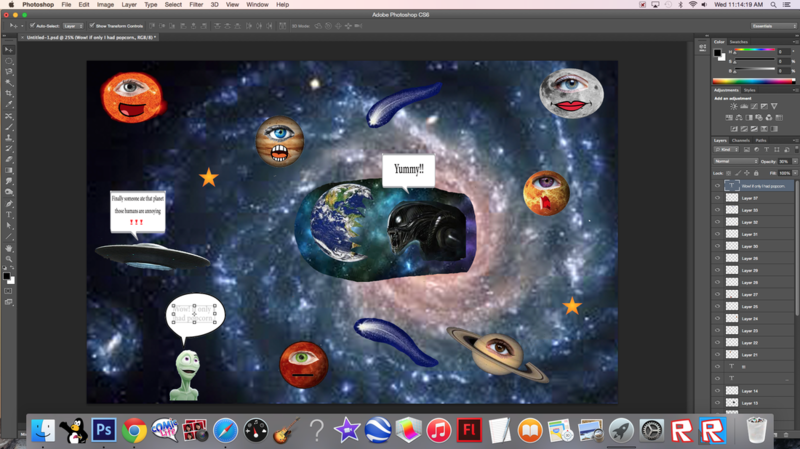 We've done a lot of projects in media arts this year, we mainly worked on projects in photoshop, During photoshop i had some troubles with trying to understand and work through the controls because i have never used photoshop in a hands on way before. 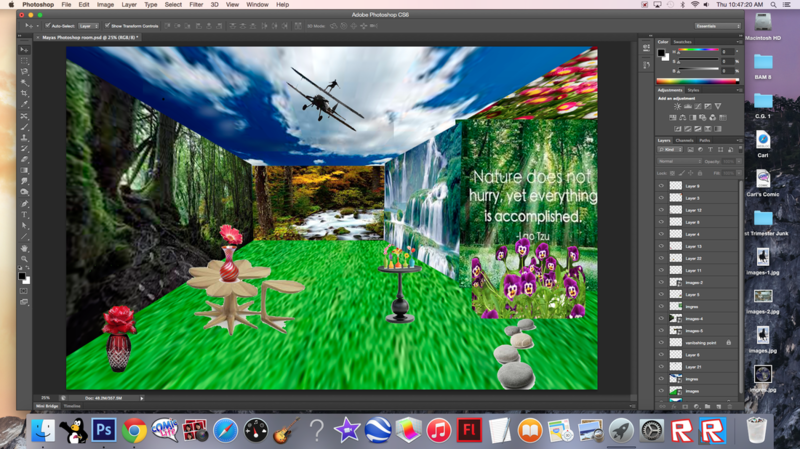 As we got further into the trimester, i began to feel more comfortable and i got to complete some really cool projects like my surrealism and my dream room project. 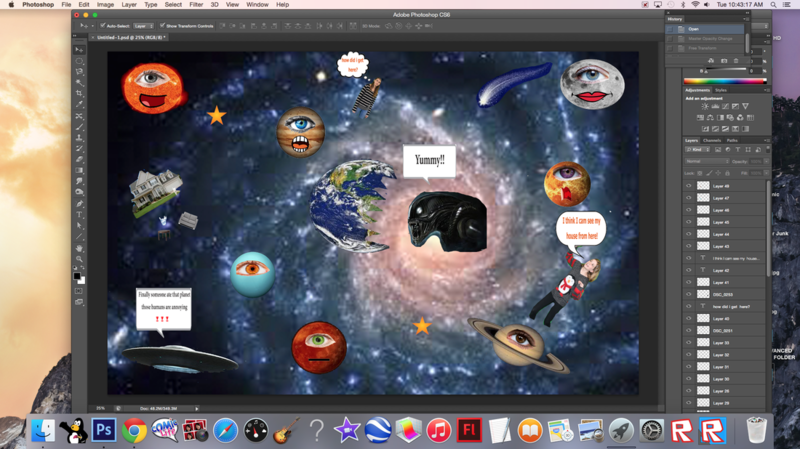 Over all the projects we've done this year, i have been working really hard on our final project, Surrealism. 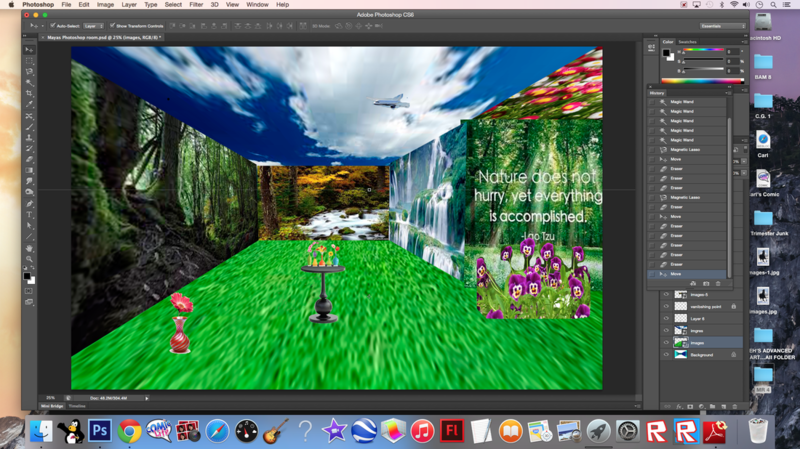 In the beginning i had no idea how to create anything involving surrealism, i didn't even know what surrealism is. 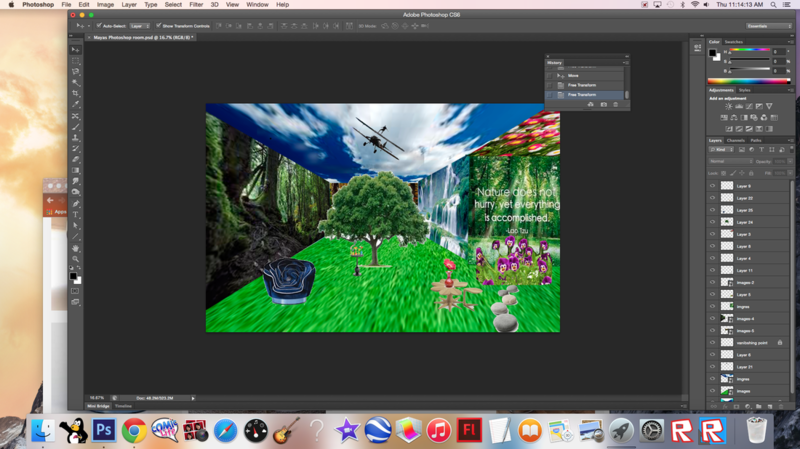 After looking at at few surrealism projects on google i couldn't wait to get started on something as creative and fun as surrealism. Throughout this trimester i have been able to experience many different online websites and tools, and i basically oh it all to the media arts lab. 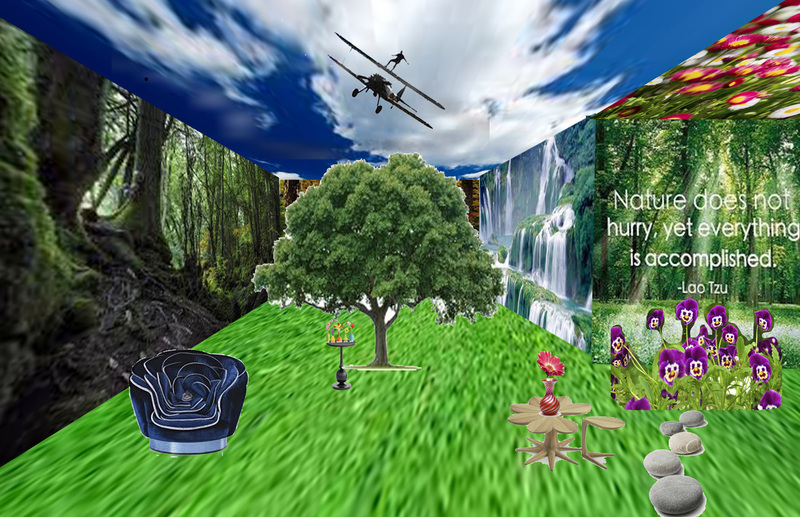 My dream room ended with a lot of nature theme items, i added a quote to give away the fact that i made this room around the idea of nature. I also put a tree and flowers, because i thought they would make my room stand out more. As i continued with the surrealism project i decided to add humans into the space, to give off the affect of humans floating away from earth. After i got the plants faces & emotions down, i wanted to add more aliens and explain what their reactions are. 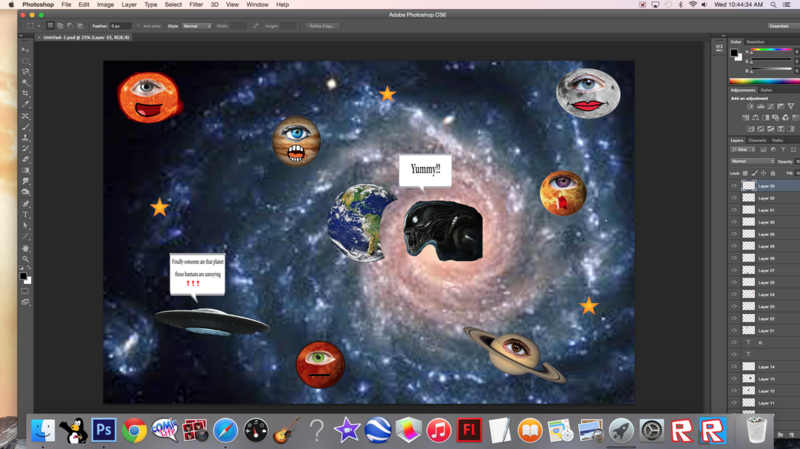 I decided to do my surrealism project about Space and the reactions of all the plants, if earth was eaten by a scary alien. This is almost my final piece, i have a few more things to add. Dystopian and Sci-Fi are my favourite choice of novels.